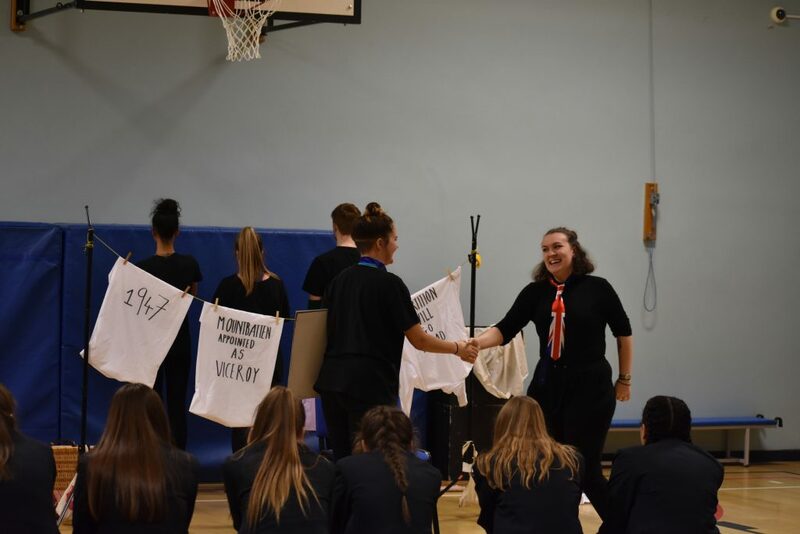 Students of the Liverpool Institute of Performing Arts (LIPA), working with the Artistic Director of Theatre Company Blah Blah Blah, have created new and original pieces of Theatre in Education inspired by a seismic historical event – the Partition of India. Partition involved the largest ever migration in human history, with over 10 million people forced to flee from ‘here to there’ depending on which side of the new border they found themselves on. Lines of people took to the roads and gathered at the train stations and, as ideas of ‘us and them’ took root, so neighbour turned upon neighbour. ‘From Here to There’ tells the human stories of partition, both those from over 70 years ago, and those that still echo today. 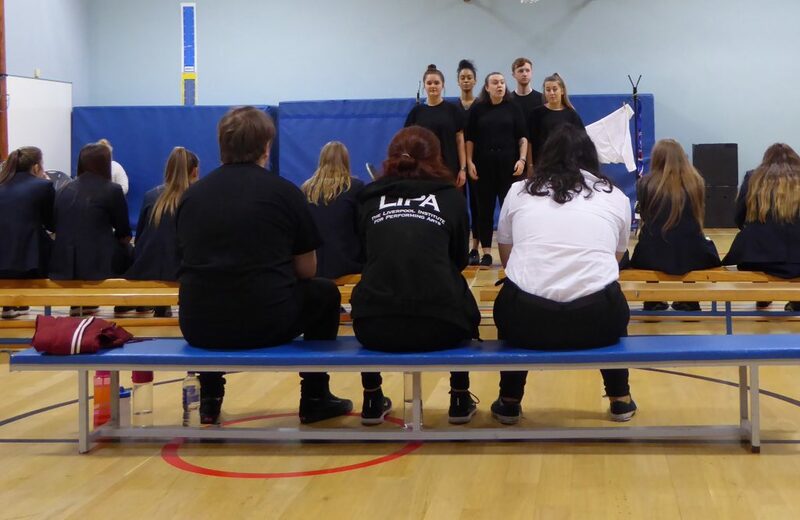 Using participatory theatre techniques, the performances enabled our audiences of Year 10 Performing Arts students to actively engage with issues of home, migration and difference, taking learning beyond the classroom. ‘From Here to There’ also has strong links to Spiritual, Moral, Social and Cultural development. Thanks to Ms Barr, teacher of Performing Arts, PE and RE for arranging this event for our GCSE students. Previous Post Brrr… The Snow Queen’s Coming!